We don’t always note when fellow tech writers hang up their hats, as those posts can start to seem a bit inside baseball-y. There are times when we just can’t help it, though — some writers are just too darned important. This is gonna be one of those times. 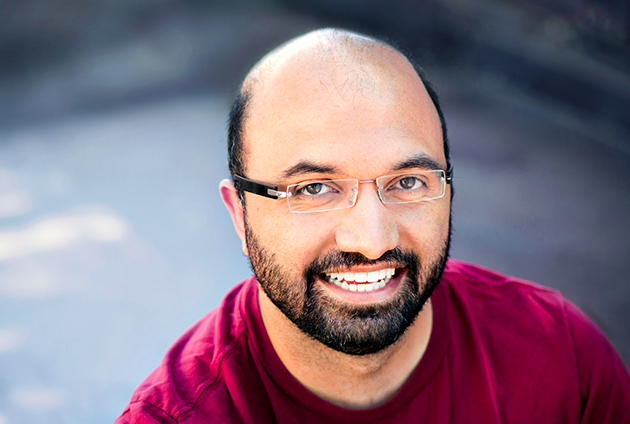 Anand Lal Shimpi, namesake founder of the much-adored hardware news/review site AnandTech, announced his retirement from writing today. If you’re any sort of hardware geek, this news probably comes as a bit of a punch in the gut. AnandTech started as an itty-bitty motherboard review site hosted on GeoCities back in 1997, when Anand was just 14. Over the next 17 years, it’s grown into one of the most respected review sites on the Internet. It’s quite rare for a tech review site to be almost universally revered by its audience, but AnandTech has somehow pulled it off for well over a decade. They review hardware to a depth that very, very few publications would even consider approaching, and they do it insanely well. AnandTech wasn’t around when I built my first computer, but it’s the site I turned to when I built my second. And my third. And every computer since. While Anand doesn’t get too specific about why he’s retiring from writing at just 32, he specifically notes that he’s not leaving for health or business reasons. It sounds like he’s just ready for something new — and given that he’s been doing this since he was fourteen years old, that’s pretty understandable. But fear not: while its namesake may be headed for something new, AnandTech itself isn’t going anywhere. Ryan Smith, previously the site’s Senior GPU Editor, will be taking over as the site’s editor-in-chief. You can find Anand’s full retirement note here. Best of luck in whatever comes next, Anand.